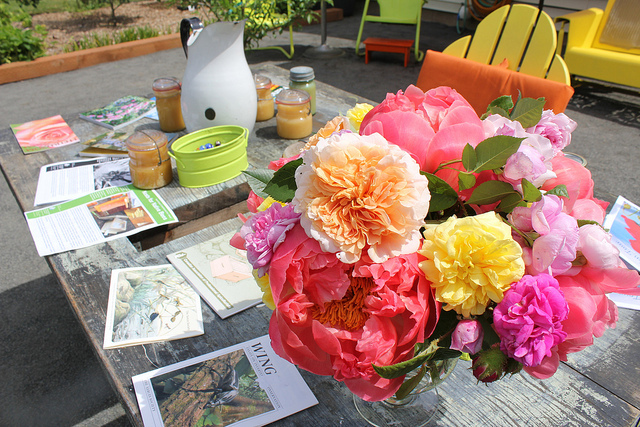 FOREST GROVE, OR – Enjoy “Sunday in the Garden” when Friends of Historic Forest Grove hosts its 24th Spring Garden Tour fundraising event from noon to 4:00pm on Sunday, June 2. Six beautiful gardens will be on tour stretching from historic Old Town Forest Grove to the modern Forest Gale Heights neighborhood. Learn artistic ways to garden in small spaces, how to tackle a giant slope, and how to create a yard with something for the whole family. Experience the joys of the old days with “games of years gone by.” Each of the gardens will take you back to easy-going summer days by featuring displays of vintage board games like Monopoly, Clue, and Parcheesi and lawn games like croquet and badminton, with a brief history and the rules of each. Meet at the Old Train Station on the corner of 19th and Main in downtown Forest Grove to get your ticket and map to the location of the gardens. Visitors will also be able to go on a free tour of the Old Train Station — a history museum maintained by Friends of Historic Forest Grove hosting many old photos and other interesting displays from the local area — as well as a tour of Abigail’s Garden at the A. T. Smith House, a new addition to the old historic home built in 1854. Advance tickets for the Garden Tour are $12 from May 1 through June 1. Purchase online at www.fhfg.org or visit the following locations in Forest Grove: Corner Antiques and Collectibles, the Forest Grove/Cornelius Chamber of Commerce, Daniela’s Gifts on Main, and A Framer’s Touch. Tickets may be purchased at The Old Train Station on the day of the tour from 11:45am until 2:30pm. Prices are $15 for adults, $12 for Seniors, $7 for FHFG members and students with ID; children under 12 are free. We look forward to seeing you there! Friends of Historic Forest Grove is dedicated to preserving and sustaining historically significant resources in western Washington County including Forest Grove’s second oldest building, theAT Smith House. FHFG is committed to educating our community about our shared history through historic tours, portrayal of important historic figures, operating a museum and library at the Forest Grove Old Train Station, and providing other educational programs. FHFG is a 501(c)(3) non-profit charity and is operated solely on volunteer support. Cost: Advance tickets $12, day of tour $15 for adults, $12 for Seniors, $7 for FHFG members and students with ID; children under 12 are free.